We’ve got a range of wonderful hotels and resorts exclusively for adults. 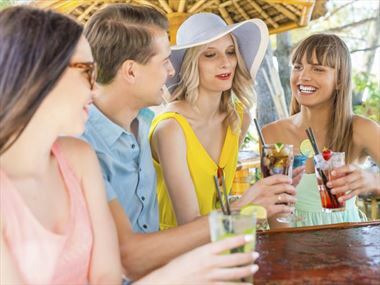 Relax in a tranquil location with like-minded people, sipping a cocktail or enjoying a romantic meal with your partner – no kids, no stress, no problem! 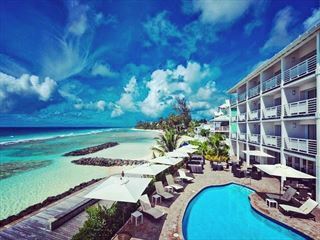 The SoCo is a stylish, art deco hotel chanelling Miami Beach on the southern coast of Barbados. Serving delicious cuisine and enjoying lovely views onto the beautiful blue sea, this is a great hotel at a great price. 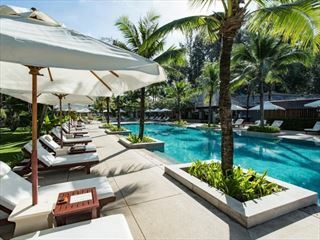 This ’adults only’ boutique resort enjoys a spectacular beachfront location on a 3-kilometre long white sand beach and is situated about 2 hours south of Krabi International Airport on the beautiful island of Koh Lanta Yai. 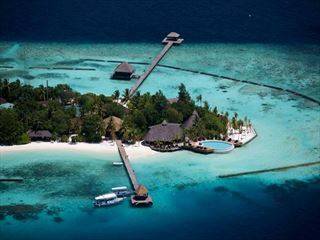 A fabulous resort. 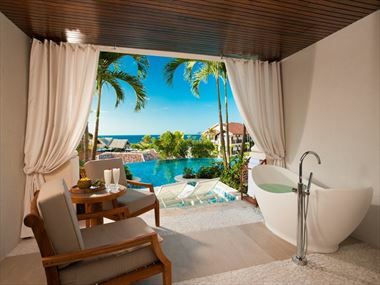 Indulge in the rare amenity of daily complimentary spa treatments at this all-inclusive, luxury hotel. With an award-winning spa, fantastic sports and extravagant facilities nestled on a volcanic sandy beach, this is an experience that allows you to be as active or as relaxed as you like. 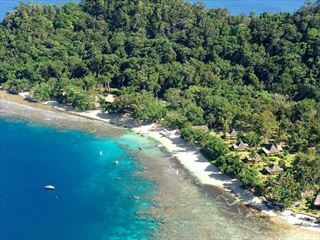 Nestled on a luscious islet of the same name, this beautiful resort offers a tranquil, secluded ambience amongst white sand beaches and verdant tropical flora. Featuring just 17 bures, an exotic pool, a Jungle Spa, and a deliciously fresh restaurant. Adult only hotels and resorts tend to be very stylish and sophisticated, making them perfect to enjoy a quiet getaway with your partner, relax on a solo trip or a fun-packed holiday in a group. It’s your chance to enjoy time in paradise with like-minded people. The Caribbean is one of the most popular choices if you’re looking to go adults-only, while you can choose a secluded resort in the Maldives or the Seychelles if you’d prefer somewhere where peace and quiet is always on offer. 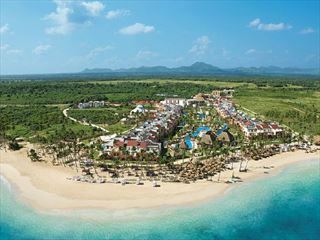 There are plenty of great reasons to choose a holiday in a resort that is exclusively for adults. Maybe your children are old enough now to be left at home or maybe you just prefer a quieter environment without kids – either way you can relax in comfort; the minimum age for most adult-only resorts is 16. This kind of adults-only atmosphere ensures you’re surrounded by people who have the same desires for a holiday as you do. 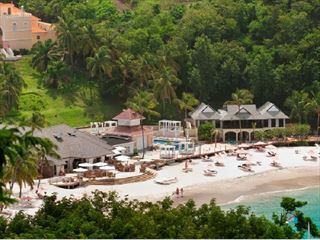 Barbados and St Lucia offer some amazing all-inclusive adult holidays where everything is included in the price. This can be a great option if you’re looking for some stress-free time away from home as you don’t have to worry about additional costs or what to do for entertainment. Our luxury adult holidays put you back in control; you can relax by the pool or feel the adrenalin rush of watersports – it’s all up to you. And remember that this is your holiday we’re talking about – nothing about it should be stressful. We do all the hard work for you; our skilled staff will book your holiday and put together all of the little details to ensure everything runs smoothly. Our Adult Only Holidays offer a wide variety of things to see and do during your trip. Check out our travel guides for plenty of travel inspiration and tips from our Tropical Sky experts to create the perfect holiday for you. Perfect for honeymooners, parents, solo travellers or big groups of friends, an adult-only holiday offers a luxurious treat for grown-ups. From our favourite hotels to where in the world caters best of adult-only trips, our guide will help you create your ideal escape. 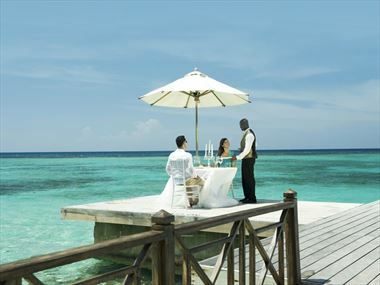 Incredible personal butler services, lavish and unique accommodation options, unlimited sports and decadent dining - Sandals Resorts Luxury Included® holidays are second to none. 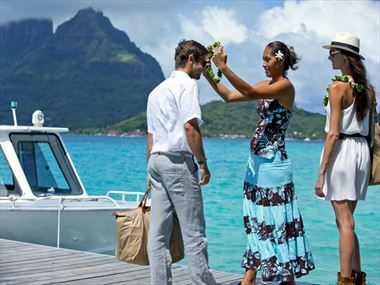 The largest of the 118 far-flung islands and atolls that make up French Polynesia, Tahiti seduces dewy-eyed newlyweds and loved-up couples with its silky white beaches, glistening South Pacific waters, repertoire of luxury resorts, year-round tropical sunshine, and beguiling culture. 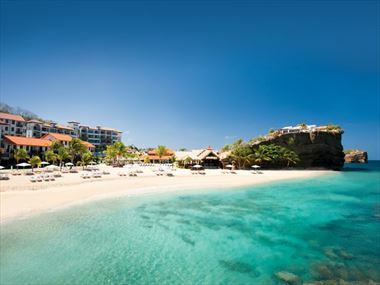 Personal butlers, beautiful beachfront locations and exciting activities - Sandals really has it all. 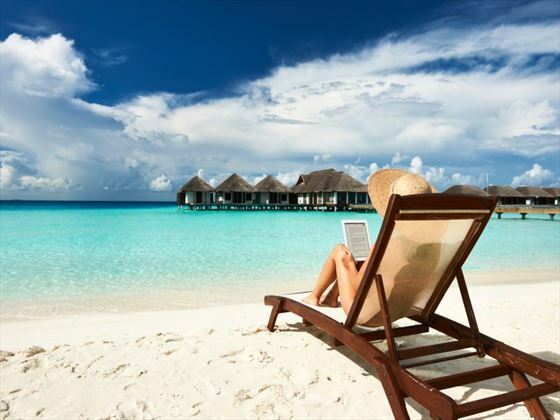 Better yet, there are 15 resorts to choose from, so you'll be sure to find the perfect one for you. 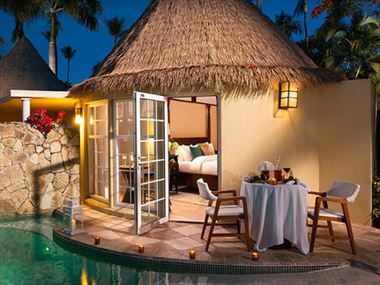 If you’re seeking the ultimate romantic escape in the Caribbean, whether it’s to celebrate your love, tie the knot or experience an unforgettable honeymoon, Sandals Resorts are a top pick. With up to 16 unique restaurants in each resort, Sandals’ foodie journey is full of tantalising moments you won’t want to miss. 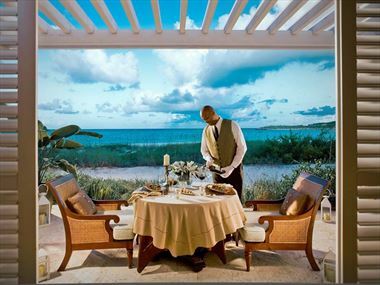 Being escorted to dinner, booking spa treatments, serving your favourite drink as you sunbathe on the beach, staying in the most luxurious of suites…why not truly indulge in Sandals’ Executive Butler Service®?